Reflecting on my November classes I find myself especially pleased. There were three classes offered this Fall, two of which were in Bellingham (a new stop on my teaching tour) and the other was in Seattle through the New School of Bodywork Advancement. The highlight for me was actually the 3-hour evening seminar for the North Cascade Massage Connection. This was a group of dedicated therapists who came out during gale force winds and rain to hear about oncology massage and end of life care. Compassionate Care, the title of the program, gave an overview of some of the clinical considerations in oncology massage and an introduction to bodywork during end of life care. While the first half brought up many concerns and questions, our table time reminded us just how powerful gentle caring touch can be. 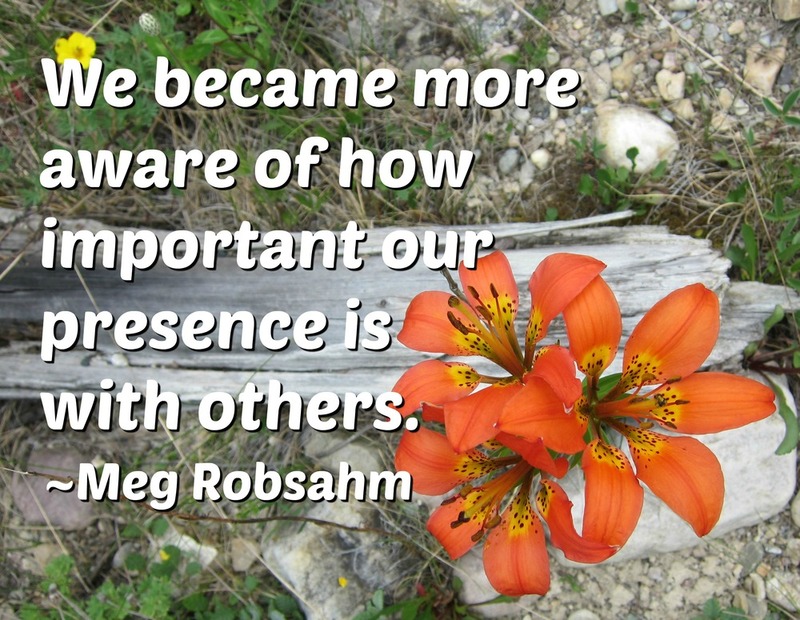 We became more aware of how important our presence is with others. I was delighted to see people enthralled as we wrapped up the evening. The Journeys in Dying© class in Seattle was a great group of people from many locations, one as far away as Pittsburg! This class gave the opportunity to explore some of our own issues surrounding death and dying. The time spent on reflection, table time, and processing our experiences was enriching and personally enlightening. Here again, we learned the incredible significance bodywork can have: that gentle caring touch can be a pathway for connecting to oneself and others. We were reminded that as we presence each other, we come to know who we are. 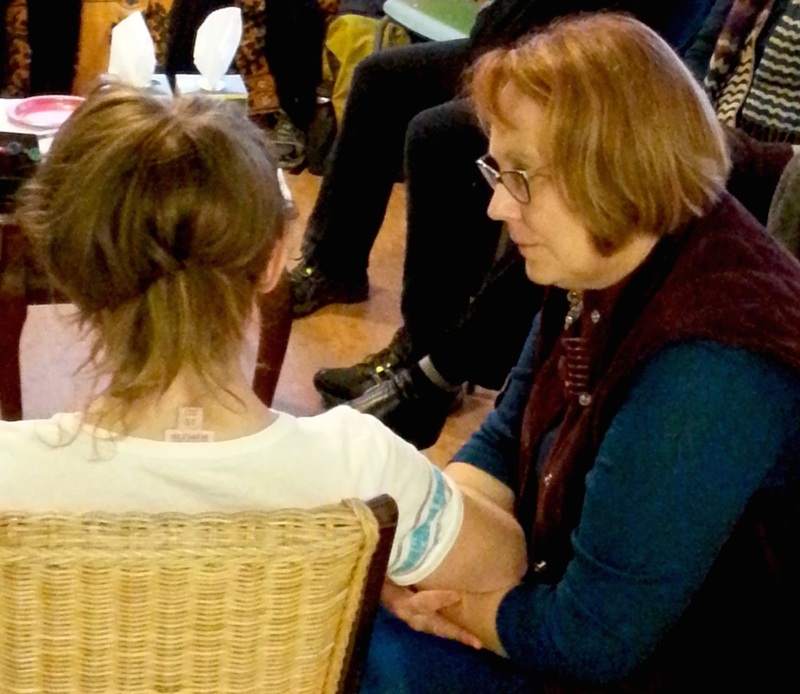 Massage for People Living with Cancer© was taught for the first time in Bellingham and offered a great group of people lots of information and hands on time for new skill development. We explored clinical considerations more thoroughly and learned specific protocols for working with people living with cancer, who may also be at risk for lymphedema. This group of people, along with our clients on clinic day, finished class more mindful of the significance and reasoning behind massage adjustments for those living with cancer. I always ask my students what was the take away after class. So what was MY take home message from these classes? Always be open to new ways of doing things, because you never know what you will learn and how it will help move you forward in confidence instead of fear. Thanks everyone! You are fabulous!! PTSD from the War on Cancer?